With the Super Bowl right around the corner, there’s always a ton of buzz around the commercials, of course. 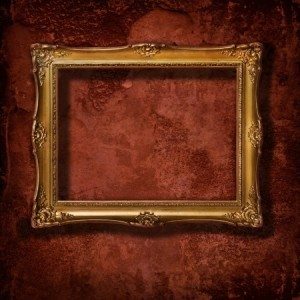 Who’s going to have the best commercial, the most clever commercial, the funniest, etc. Now imagine if those commercials were just text. Would be pretty boring, wouldn’t it? Would they capture your attention at all? Would any commercials stand out from the rest of the pack? Would you run and tell your friends about the awesome commercial you saw that had 389 words on the screen? My guess is a resounding NO. So why should a Super Bowl ad be any different from your site content? After all they’re both forms of marketing, right? You’re probably asking yourself “what’s with all the questions? Do you work for the FBI or something?” No, but if I did, I would interrogate you as to why you’re not taking advantage of using images as part of your content marketing strategy. Let me make a declarative statement. 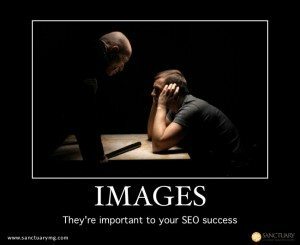 Images are important for SEO success. This is no shocker, but something that too often gets overlooked. The emphasis these days is all about creating valuable, quality content, but great content alone is not going to move the needle and set you apart from the rest of the pack. Your content needs to be easily digestible, and great images help support that notion and take it to a higher level. You know the old phrase “a picture is worth a thousand words”? Well that applies to your site as well. The internet has become such a visual playground, which means that incorporating images can only help your online marketing efforts. After all, if I wanted to read a novel, I’d go to Barnes and Noble. Most popular blog posts and landing pages tie in well placed, supporting images. That’s because the content is more shareable and entertaining. Sites like Buzzfeed, Reddit, Digg, Pinterest, and a host of others are paving the way for how to use images to your advantage. Whether you have realized this yet or not, images can actually generate a ton of traffic to your site from Google images and other image- based search engines. Google bots however cannot read images, so you have to tell them what the picture is about. Learning some basic ways to optimize your images will help get them indexed and score you some additional visits. Let’s take a look at four important factors and best practices when optimizing your images. Create/submit Google image sitemap – To give Google information about the images on your site you need to update your existing sitemap or create a new sitemap and add image-specific tags. For each URL listed in your sitemap, you can add important information about your images. The nice thing is, you can use sitemap extensions to provide Google with exactly the right information. For more information about adding images to your sitemap, follow these easy instructions in the Webmaster Tools Help Center. Make sure your file sizes are as small as possible – Page load times matter and are an important SEO factor. Don’t sacrifice quality, but ensure that your images don’t bog down your site. Use an editing program to get the desired size or consider a plugin or API like WP Smush.it to automate this process. Should be striving for less than 70k in jpeg format. Name your image file accordingly – Pick a descriptive file name for your images. Typically this should be something sweet and to the point. Make it something you’d like to rank for, but don’t go over the top to make it unnatural and only keyword focused. Use good alt tags – The alt tag is part of the image HTML tag. Give your image a description to tell what the image is about. Should be keyword focused, but also make sure it is related to the page it is on. Again though, don’t go keyword stuffing. 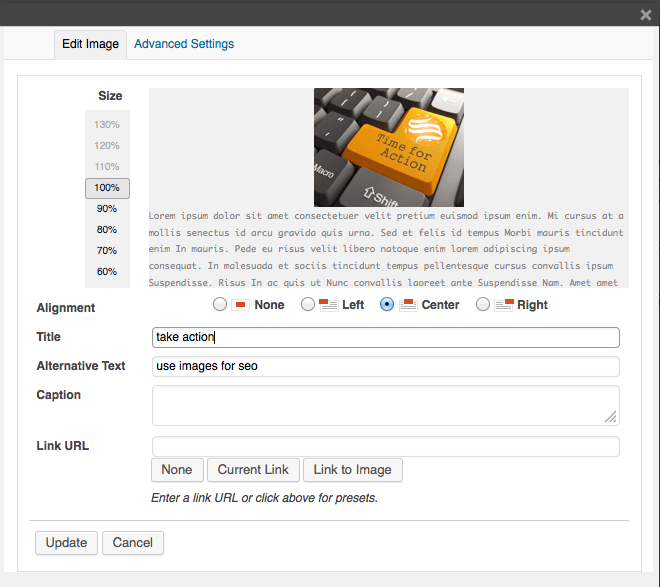 Some content management systems such as WordPress allow you to specify an alt-description when you upload an image. See screenshot below for how easy the editing interface is. The bottom line is that if you’re going to spend the time and effort (and sometimes the money) to create content for your site, take the extra five minutes to optimize your images for additional search engine benefit. It’s like baking a cake and not icing it. Who doesn’t want the icing on the cake? If you haven’t already started incorporating images into your content marketing plan, put down the chips and salsa because now is the time to do so. Is it the most prominent factor when it comes to online marketing? Not by a mile, but it can make the difference between your page content being good and being great. 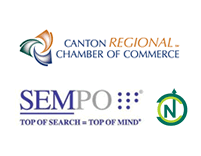 If you’re looking for a championship caliber internet marketing team, we can help. Feel free to contact us anytime to discuss your internet marketing goals. ← Big data meets social marketing. Is your CRM Strategy changing with the times?